Function and stylish sash windows have been in use in England since the Georgian era. Following World War I, they were surpassed in popularity by less expensive windows that were mass produced. As if to prove that everything old is new again, this sash window is enjoying a renaissance of sorts as more and more 21st century homeowners opt for this more traditional look for their homes. Customers who learn more about Mortice and Green understand why they can trust the professionals for quality sash window replacement and repair. Some homeowners look at their old and worn out sash windows and think about the possibility of upgrading to modern window designs. Others prefer the traditional look that sash windows give their home. That is where the experts at Mortice and Green come in. The professionals have the experience, resources, and talent to repair or replace all the sash windows on any home anywhere in London or the surrounding areas. Best of all, will can do it for an affordable rate. Because Mortice and Green is a completely independent and family-owned company, they can provide the kind of personal service that larger companies just cannot provide. In business since 1994, they are dedicated to complete customer satisfaction in everything undertaken. You can trust the estimates to include only the work that you need and want done. The proprietors prepare careful and comprehensive estimates. No salesman will ever try to sell you materials or service you do not want or need just to increase the profit margin. The typical sash window consists of one or more panels, known as sashes. The sashes hold panes of glass in place and the panes typically have glazing bars between them made of wood strips. This style of window has graced buildings in England since the late 1600s. Many homeowners these days are opting for double glazed windows because they are so energy efficient. This window design features two panes of glass with a gap between them. The gap is filled with an inert gas or air. This configuration offers a lot more insulation than a single pane of glass can offer. Homes with double glazed windows stay warmer during the winter and cooler during the summer because they block the exchange of heat between the interior and exterior of the home. Replacing old single pane sash windows with double glazed windows can be challenging for homeowners living in conservation areas. Many larger window installing companies cannot produce windows that comply with regulations. 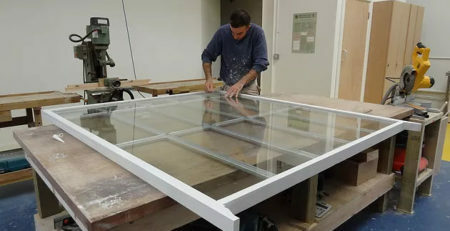 They have the expertise to create bespoke reproduction sash windows that are not only designed to seamlessly replicate your home’s unique architectural features but guaranteed to meet the approval of the conservation officers. The slimline units feature spacers that ensure your windows appear to be single glazed to anyone looking at your home from the street. The most common problems which customers have with their home’s original windows are draughts and rattles. A rattle is a sure sign that air is getting through. When that happens, you are wasting money on the energy you are using to heat and cool the home. Because studies show that heat loss through doors and windows can account for as much as 40% of any building’s total heat loss, M&G always draught proof when refurbishing original windows. This process improves thermal performance and lowers energy costs. The technicians install brush piles to block draughts during every refurbishment project they do. These brush piles are inserted into the staff beads and parting beads holding the windows in place. Expert installation and discrete placement ensures this energy-saving measure does not detract from the appearance of your home. If replacing your windows with double glazed units is beyond your current budget, the experts can draught proof your existing windows. This will cost you much less than total replacement would and you still receive the benefit of a more comfortable living environment and lower heating and cooling costs throughout the year. The technicians are thorough on every refurbishment project they handle. When the work is done, your original windows will be draught proofed and free of rattles. The technicians can restore function saving you the expense of total replacement. They will re-balance the sliding windows and replace any worn sash cords so your windows open and close without resistance. They can replace parting and staff beads, catches, locks, and pulleys. The highly skilled workmen will even paint the exterior and interior to your specifications as part of window redecoration service. 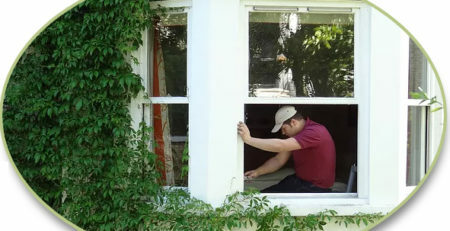 If your windows are difficult to slide open and shut, you may not need a full replacement. In most cases, the culprit is one or more worn or damaged sash cords. Every box sash window contains four sash cords and if even one is damaged or deformed, the window will not slide smoothly. The firm offers sash cord replacement services with a fixed price per cord. If one cord is broken, the remaining cords may be compromised and it is often more cost effective to replace them all at once. They even offer a discount if the technician replaces all four of the window’s cords in a single visit. All replacement cords come with an automatic five-year guarantee to ensure complete customer satisfaction with the job. If you are considering sash window replacement, renovation, or repair, you cannot go wrong with Mortice and Green. The company understands that you have options when it comes to fixing or replacing your home’s windows, which is why they strive so hard to provide customers with the best service available in the industry. They can back their work because they believe in highly skilled and professional trained technicians and supply them with the highest quality materials. No job is too big or too small for the window specialists at Mortice and Green. From a broken sash cord to brand new windows throughout the home, They can provide the quality service London area homeowners expect and deserve. You can count on M&G for top quality repair and replacement at a price you can afford.